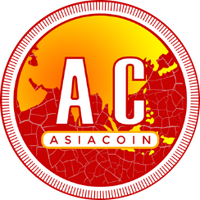 AC - AsiaCoin has been around since 20th Apr, 2014 and works separately from any monetary authorities. The digital asset utlizes the proof of work and proof of stake (pow/pos) consensus algorithm and is able to be mined. To keep updated with the latest news from AsiaCoin, you can find them on Twitter, Reddit and Facebook. We don't have any cloud miners listed for AsiaCoin yet, check back soon! We don't have any exchanges listed for AsiaCoin yet, check back soon! We don't have any wallets listed for AsiaCoin yet, check back soon! We don't have any debit cards listed for AsiaCoin (AC) yet, check back soon! We don't have any price charts listed for AsiaCoin yet, check back soon!